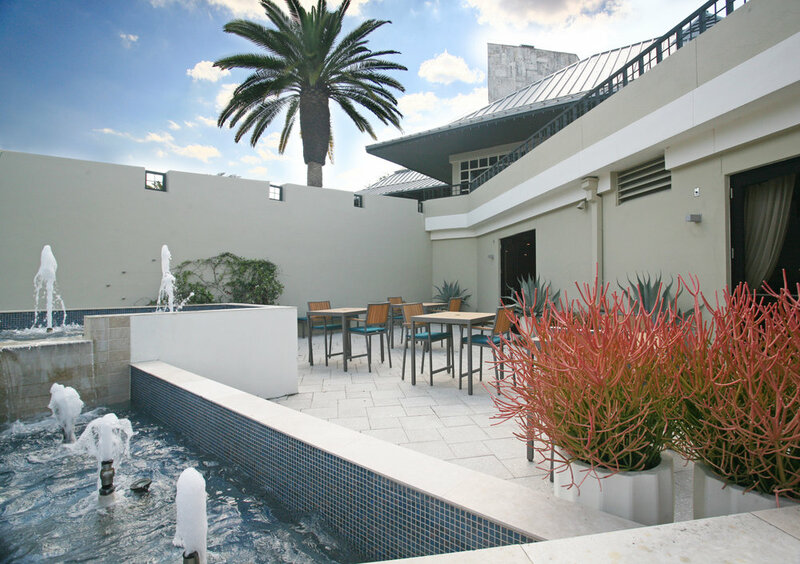 The banquette hall, locker rooms and common outdoor areas at the Timacuan Golf & Country Club were given a modern rework by GDP. The improvements blend the building's unique architectural style with a modern transitional aesthetic to create an experience that is both elegant and memorable. The banquette hall is the centerpiece space of the clubhouse venue. The event space boasts tall cathedral ceilings with exposed timber truss work. Large picture windows overlook the golfing greens and outdoor terraces. With this in mind, we wanted to focus views upwards and outwards. 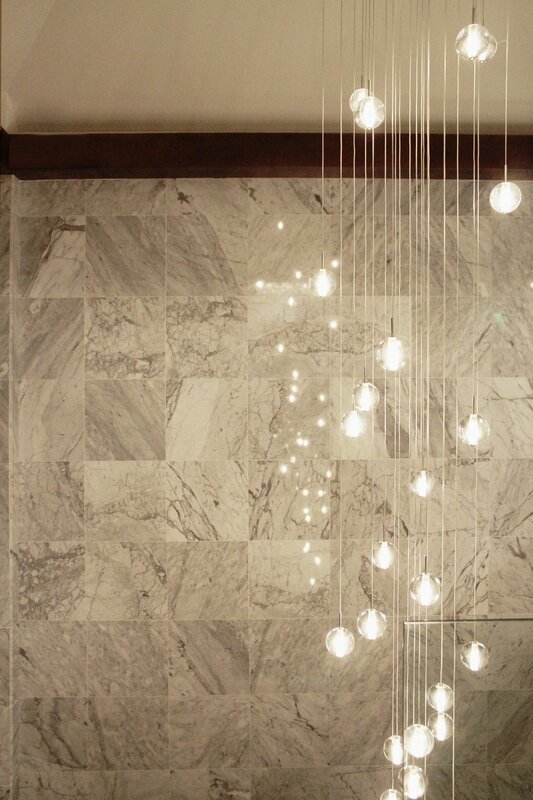 The height of the space and form of the structural trusswork is accentuated with dramatic uplighting. A series of baroque style crystal chandeliers were selected to create a focal point to the "L" shaped space and draw the eye upwards and along the length of the space. The layout was designed with openness and flexibility in mind. This way, the venue would be able to accommodate and host a plethora events with different varying spatial requirements. The open plan also ensures that views to the outside are largely uninterrupted. The materials and colors palette were kept to a minimum. 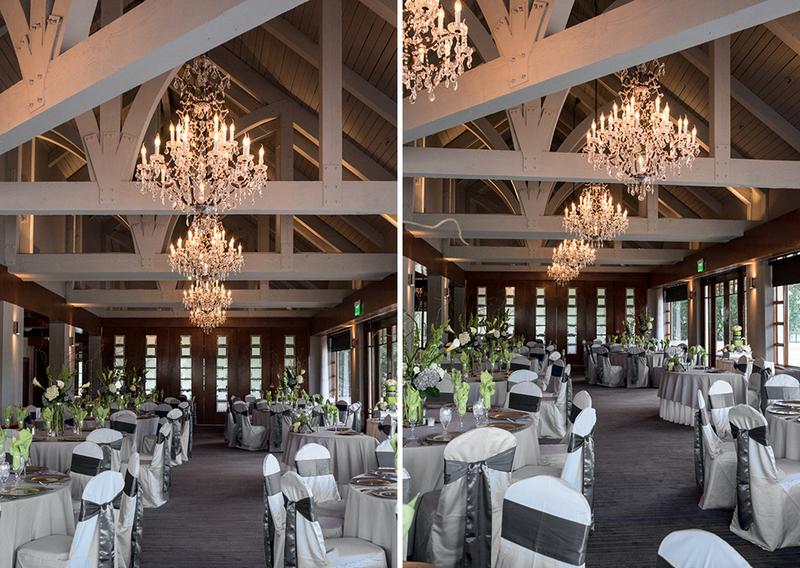 Soft tones of grays and whites with dark stained wood create a neutral backdrop that allow events to incorporate their own customized color schemes.